There are plenty of blogging platforms, but all of them have different approaches. What works perfectly for one type of blog may not be ideal for another. Today we’re going to dive into the best available blog sites and examine each one in-depth. We’ll follow that up with a massive list of blogging tools that you can use in every facet of your website. There are few types of blogging sites and blog setup you can go with. Free, Freemium, Self-hosted, and Website Builder blog platforms. You have a shared domain or subdomain (your blog name would be www.blogbasics.wordpress.com or www.blogbasics.blogspot.com, for example). You don’t technically own the blog or its content. You won’t be able to monetize it the way you want to. Of course, none of these things stop you from starting a successful blog and transitioning it to a self-hosted option. It’s simply important to understand these things before you dive into one of the platforms below. These are the best blog sites currently available on the internet. Take a look at each one and be sure to consider how it caters to the blog you’re trying to create. I’m putting the best foot forward here and starting with the great WordPress. This platform is easily the most popular choices for bloggers and web designers of all kinds. WordPress is constantly improving and being updated as well. It’s open-source design allows anyone to tweak the program and add new functionality as they see fit. Blogger is a household name thanks to it being owned by Google. This is the best option for those who are looking for something very quick and very simple. Since Google is the king of user-friendly design, you’ll have a Blogger set up within minutes and a post published within an hour. It really is that simple. The downside, of course, is that there’s not a lot for advanced users. What Types of Blogs are Good For Blogger? Ghost is another open-source blogging platform that has a focus on welcoming advanced users into a platform where they have complete control over the look and feel of their website. In that way, Ghost is very much like WordPress, but it offers a few features that make it stand out from the crowd. For starters, there’s a split-screen editor that offers a live preview on the right while you work on the left. Support for multiple users also adds the ability to work in tandem and collaborate with your team or a fellow author on your blog. The content is organized in the same way you would see emails, which makes it easy to pick and choose your workflow. What Types of Blogs Should Use Ghost? Tumblr showed up a little late when compared to the other major platforms. It has the unique approach of focusing on “micro blogging.” This term refers to the way posts are uploaded on the platform. You’re not going to see any long-form 2,000 word posts here. Instead, you’ll see short little quips and a ton of animated gifs. It’s a different world than most other platforms, but you can’t deny the charm and simplicity it offers. Which Types of Sites Should Use Tumblr? Another nice feature is the ability to download the site’s code so you can keep the formatting if you move to another platform. be beneficial to put together a list of blogging tools that you can reference regularly for your blogging needs. It’s important to make sure that you’re using quality blogging tools that can scale appropriately as your blog continues to grow. 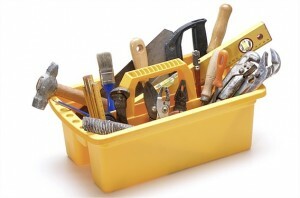 This list of resources (i.e., blogging toolbox) is updated often as new blogging tools are released and existing tools are updated. I recommend that you bookmark this page for quick reference in the future as you continue to improve the quality of your blog. The first section toolbox includes blogging tools that I find myself using over and over again for nearly every blog that I build. If you decide not to review the entire list of tools, these are the ones that I consider most helpful or highly recommended. Blog Basics recommends ConvertKit for bloggers looking to substantially grow their income. ConvertKit is an email marketing product designed for professional bloggers. The entry level plan is only $29.99 per month and includes a 60-day refund policy if you’re not completely satisfied with the service. This is the same service that we use at Blog Basics. If you want to create mobile responsive web pages, whether it is a squeeze page, sales page, launch page or an upsell page, you cannot go wrong with LeadPages. In fact, I believe it is the easiest tool available at this point for generating these type of pages. With its user-friendly, point and click interface, you can get a new page up and running in 10 minutes flat. Now, that is what I call efficiency at its best. WordPress: One in every 10 websites is made using the WordPress Platform. In fact, I would go so far as to say that WordPress has revolutionized the way in which websites are made and online businesses are managed. Not only do the websites of my clients use WordPress, but also my entire business is built on the WordPress Platform. WordPress is everywhere from our blogs to our sales letters, membership sites, squeeze pages, launch pages and more. This tool has single-handedly simplified the task of website creation. Now, I cannot imagine how we handled things before the advent of WordPress since we would have to manually write code one page after another with HTML and believe me that was no easy task. Godaddy.com: This site needs no introductions; famous for offering affordable domain registration, Godaddy provides the added benefit of a user-friendly control panel that will help you to handle multiple domains. Those were my most recommended blogging tools. The next several sections will highlight blogging tools that I use by category. Continue reading for the full toolbox that I use to manage my blogs. 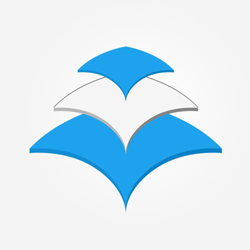 WordPress: This is the best (in my opinion) blogging platform available. The software is completely free and it is very easy to customize to your liking. Every website that I own currently use the WordPress platform, including Blog Basics. StudioPress: The Genesis Framework is a WordPress framework that allows you to rapidly build an attractive website and make very powerful changes to the design and functionality without needing a web developer using several different themes. The Genesis Framework powers more than 60,000+ websites. I use the Genesis Framework for several for my niche sites. BlogBasics.com is powered by the Genesis Framework. THESIS Theme: DIY Themes offers a top notch WordPress framework called THESIS. This framework provides a solid foundation for any WordPress based website. Over 40,000+ websites rely on the design flexibility, quick loading times and solid search engine optimization (SEO) capabilities of the THESIS framework. I have used THESIS for several different projects in the past. It is one of the best WordPress frameworks available. WooThemes: The team at WooThemes offers high-quality WordPress themes that have a professional look and feel. Similar to StudioPress and THESIS, WooThemes are powered by a framework that makes customizing your site very easy. One of my favorite WooThemes is the Canvas theme due to the incredible amount of flexibility and customizable features that it includes. Bluehost: This is one of my favorite web hosting solutions. They have been in business since 1996 and offer really good customer service with very reasonable wait times (typically). Quality of customer service is one of the most important criteria to use when selecting a web host – especially when you’re just starting a blog. HostGator:HostGator is another shared hosting solution that I recommend. They have the shortest wait times for customer support of any web-hosting provider that I have ever used. I highly recommend checking out HostGator. If you are looking for cost effective website hosting, you need not go beyond HostGator. This is one of the best hosting companies around and I have tried nearly all of the big players. The advantage of using this service is that they offer hosting which can be scaled up with minimal effort when required. Blog Basics was hosted with HostGator for several years. However, if you are starting with a popular website that receives serious traffic, you may also want to consider WebSynthesis or WPEngine.com. UptimeRobot.com: This is a real simple site, but one which can perform a crucial task. It tells you when your website goes down, so you can take immediate steps to correct the situation. The best part is that the service is absolutely free. FileZilla: This is an FTP program; one that I use frequently to get files and pages uploaded to my website. Without analyzing and tracking your blog visitor’s behavior and actions, you will be totally lost in the world of online marketing. Improving your conversion rates is one of the best ways to increase profits, which is essential for any business, online, or offline. So, you need to continually test your marketing and advertising tactics. Your subject lines, sales letters, squeeze pages and call to actions all need to be tracked for effectiveness in terms of how many clients they manage to pull in. If you are not testing, you are very likely wasting your resources and time. Google Analytics: This is free tool offered by Google to track blog statistics.Nothing offers deeper insight into the actions and the surfing behavior of website visitors than Google Analytics. By using this tool, you can find out the sources of your traffic, how much time visitors are spending on your site and where they end up clicking. In fact, with analytics, you can also analyze traffic that gets converted by pinpointing the sources that send you the most number of buyers and subscribers. Clicky: This is an alternative to using Google Analytics. The Clicky interface is more user-friendly and offers several cool features that aren’t available in Google’s offering. I use both, but if you’re looking to save money early on, then go with Google Analytics. E-Junkie: I use this excellent shopping cart system to sell eBooks on some of my other blogs. E-Junkie supports the most popular payment solutions including PayPal Standard and Pro, Google Checkout, Authorize.Net, TrialPay, ClickBank and 2CheckOut. ClickBank: This is likely the most popular retailer of digital products. You can utilize this solution to distribute digital goods that you create for your audience or you can find digital products to promote on your blog. Clickbank also offers a very robust affiliate program for digital product sellers. PayPal: This is another option that you can use to sell products on your blog. I only utilize PayPal as a means of accepting payment for my digital goods. Regardless of how you decide to use PayPal, you will likely want to setup a PayPal account for accepting payments using one the shopping cart solutions discussed above. Design Contest: This is a unique site, a marketplace where you provide information on your project to their database of designers and they compete to win the assignment. So, you get to check out the best work from hundreds of designers, but you only pay for what you like and take. I rely on this site for several of my graphic design requirements. The blog basics logo was created using Design Contest. It is also a fantastic place to beat a designer’s block because you get to see some of the most creative minds in the business putting their best foot forward with fresh ideas and concepts. Impress: This site is another great place to get top of the line WordPress designs, but it is a bit more expensive. However, you can trust the quality of the work. Dimple Art: Affordable and fabulous is the only way to describe the high quality caricatures that you can get from this service for your website, branding literature and squeeze pages. Canva: It is surprising that they aren’t charging people for this truly amazing tool. Yes, it is 100% free and it can be used to create extraordinarily good graphics without designing skills. You get the option to pick from built in templates for a variety of tasks such as creating Facebook and Kindle covers, posts for social media, graphics for blogs, photos for Pinterest, online ads, including for Facebook, Twitter headers and much more. Wistia: This site can be used to create video players that can be included on your site as well as to host videos. Among its numerous features are: iPad/iPhone support, video analytics, social sharing, customization of video players, video heatmaps and more. The fact that popular websites like Mailchimp, HubSpot, RiseToTheTop and SEOMoz.com are using the service is in itself a testament to just how useful this service can be. The fact that popular websites like Mailchimp, HubSpot, RiseToTheTop and SEOMoz.com are using the service is in itself a testament to just how useful this service can be. The best part is that you could increase the brand value of your videos by customizing them. You could add social sharing buttons and even opt in forms to the videos. But, that is not all! Since most videos are made to attract the attention of potential clients or subscribers, you could also insert a call to action at the end of the video clip. Now, if that isn’t effective marketing, don’t know what is. Buffer App: Managing social media: You no longer have to be in front of your computer to post your social media content. This app allows you to pre-schedule publishing on Facebook, Twitter, Google Plus and also LinkedIn. Scoop.it: This is a search engine specifically meant for content, and boy does it work! Simply type in the topic that you are interested in and the results will include hundreds of top rated articles on that specific topic/niche. Quora: Nobody can argue over the fact that Quora rules the Question & Answer sites on the internet. Of course, there is Yahoo Answers but a lot of questions on there are utterly ridiculous as are the responses. In contrast, the questions on Quora are unique, they make sense and people are actually looking for answers. So, you get an interesting and intelligent point of view which is being currently discussed to start writing on. For a niche driven website, simply go to Quora find out the questions that people are interested in. Now, provide answers to these on your own blog or site and watch the traffic flow in. This site has long been one of my hotspots for discovering interesting and never before used article, email, podcast and video ideas. Dragon Dictation: Did you ever have a ‘Eureka’ moment in the shower; well, it has happened with me several times. In fact, I have several of my moments of enlightenment right when I am away from my computer screen. Fortunately, I have Dragon Dictation. It does exactly what its name says; it allows you to simply speak and record all your mental musings. This is an easy to use app that helps you to turn your speech into text. So, you do not need to type out documents or emails. This is not only the most convenient way to capture information when you are on the run, but it also works very well when you have put in a hard day’s work and just cannot bring yourself to toil over the keyboard. Let the software create articles, emails and more for you! Start a Blog That Matters: There are literally millions of blogs online. There are thousands of new blogs started every single day. Unfortunately, many of those blogs go unnoticed by most people. If you want to grow a popular blog, then it’s important that you start a blog that matters. This blogging course teaches you many of the strategies used by some of the most successful bloggers online when they start new blogs. Write Like Freddy: If you struggle to create content for your blog or if you want to start guest posting on other blogs to increase your traffic and subscribers, this is a course that can really help you develop a structured process to writing content. 31 Days to Build a Better Blog: This is an eBook that you can download immediately. It’s designed to help you take your current blog to the next level – one day at a time. 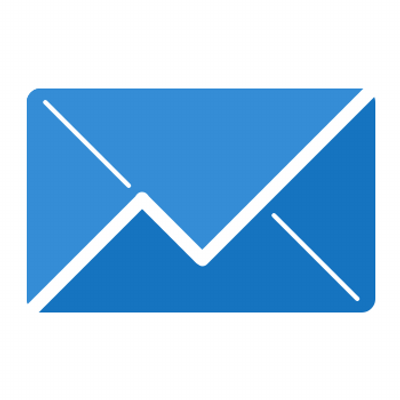 AWeber: This is easily the best email management solution on the market. Their email delivery rates are consistently among the highest in the industry. If you plan to monetize your blog, the first thing that you’ll want to do is create an email newsletter. I use the AWeber email management solution exclusively on all of my blogs. The Best Spinner: This is the best article spinning software available. The software allows you to create unique versions of your existing articles, so that you can submit unique versions of your articles to other websites as guest posts, article directories, and various other places without worrying about duplicate content. Unique Article Wizard: This tool allows you to create even more unique versions of the articles generated by The Best Spinner software to generate thousands of backlinks to your blog. Upwork: I use this website to find inexpensive resources to hire for several blog related tasks that I don’t have time to complete. Fiverr.com: This is a really cool marketplace where you can outsource many services starting at only $5. LegalZoom: I use this service to quickly create legal entities (ex. LLC ). Note: I have direct experience with each blogging tool listed above and actively use these tools in my business. It is important to mention that many of the links provided on this page are affiliate links. This means that I will earn a commission if you decide to purchase one of these products using my links. This means that I will earn a commission if you decide to purchase one of these products using my links. There is no additional cost to you when you purchase using these links. I only make product recommendations for blogging tools that I actually use in my business. You will notice that I will reference this page and these products often throughout the content presented on the blog. This checklist should help you to ensure that your blog is launched with a resounding bang, and that your blog continues to perform with stellar results as time goes on. 1. Establish a publishing schedule so that your readers will know when they can find new content. Ultimately you should do what works best for you, but by posting fresh content at the same time each week, your blog visitors will know when they should click on over to your blog. 2. Your blog posts should be just the right length. Now this can vary, naturally, but make sure that your posts are a minimum of two paragraphs in length, but not so long that readers can’t be bothered to slog through the whole thing. 3. Constantly work on building your blog’s reputation. Comment on other established blogs, write guest posts for other blogs, and interact with other bloggers in your market. 4. Take the time to look at your blog analytics. This will tell you valuable information about the performance of your blog, the areas that your blog is succeeding in, and where you could benefit from some improvement. How did your audience find your blog? Which blog posts get the most attention? 5. If things are slowing down or you aren’t seeing the traffic you’d initially hoped for, you may need to re-evaluate who your target audience actually is. Has your blog focus shifted in recent months? Even a subtle shift can lead regular blog visitors to look elsewhere for the content that they want. 6. Periodically check on just how well your blog is operating. This means making sure that you are using the most current version of your blogging software, and making sure that your blog loads swiftly in all browsers. If you have any plug-ins on your blog, make sure that they are the most effective plug-ins and make sure that they are actually working and not serving to slow your blog down for guests. 7. Delete comments that are nothing but spam, or may even be abusive or slanderous. All too often blog guests engage in verbal battles on the comments of someone’s blog. This can get you a fair bit of traffic while the squabble is going on, but it will not serve any good practical purpose in the long-run. 8. Make sure that your copyright and disclaimer sections are up to date and at the very least have the right year on them. 9. Tidy up your blog design. What worked for the first few months of your blog’s life may not necessarily work today. Refreshing your blog can breathe new life into it, and just make it look cleaner. 10. A great way to freshen up your blog is with new photos. Your bio photo could use a good update, so get creative and make sure your new photos are representative of your brand. 11. Make sure that any other changes you have made are in support of your topic and in support of your overall brand. 12. Continually seek out new ideas to help drive relevant traffic to your blog. This could be in the form of a giveaway or even a poll. Giveaways are always popular, and have been known to increase blog readership by more than 200%. Blogging can be a tough world to break into. With the right preparations, however, you are sure to thoroughly enjoy embarking on this new journey.